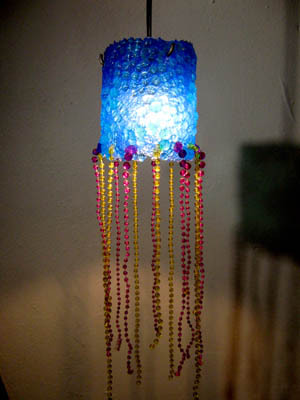 One of our most popular style of hanging light is a squid themed lights. 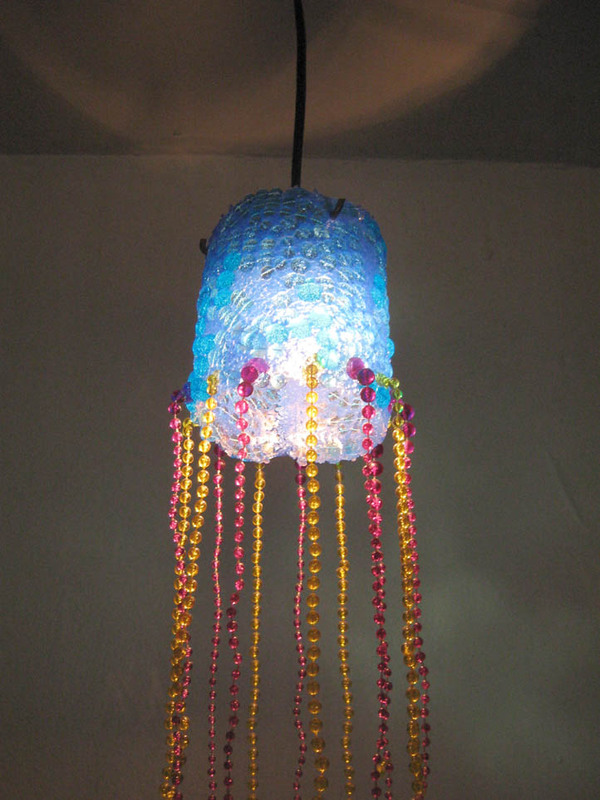 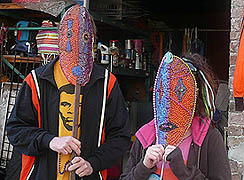 Great fun, the fabulous dangling tentacles are a mixture of yellow and purple beads. Black cord with a 15 watt bulb.